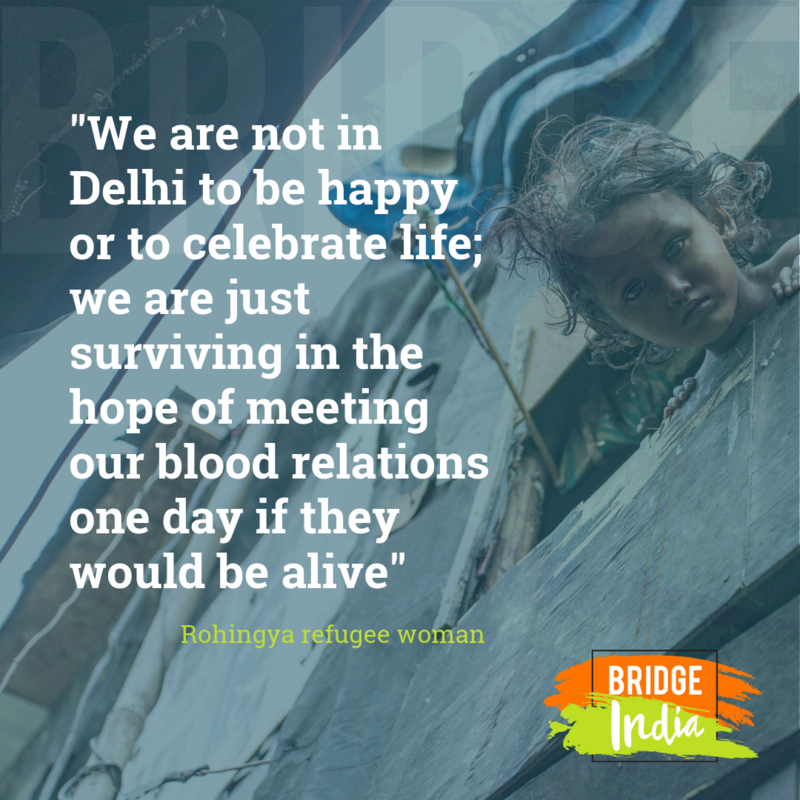 With tears rolling down, a Rohingya Muslim woman in her tattered cotton sari explained her plight of living as a refugee in Delhi. The capital city of India, alone hosts roughly 1,600 Rohingya Muslim refugees scattered in different sub-urban slums. Rohingya Muslim refugees are identified as the “most persecuted community” in the world by the United Nations. They belong to the poorest state in the world, Rakhine, in Myanmar. Termed as “stateless” by their home country and a parasite by neighboring nations, the existence of this community is itself a question mark. It drew international attention during the 2012 crisis; when two-thirds out of the three million Rohingyas living in Myanmar fled to neighboring countries on foot or by sea to escape the massive military crackdown which killed and burnt two hundred villages. Registered as “genocide” in the popular media, this incident unveiled the atrocities being inflicted upon this sub-group by the Government of Myanmar. They are denied citizenship rights and are deprived of basic human joys like marriage and child birth which are strictly regulated and monitored by the military. It is commonly believed that religious differences between the ruling Buddhist majority and the Rohingya Muslim minority led to this systematic osctracisation of Rohingya Muslims. But there may be a strong economic motive too. Rakhine, the Rohingyan homeland, is rich in minerals and natural resources which the government is strategically taking over and controlling through this forced displacement. However, no official records exist to confirm these ownership rights. But what stands confirmed and absolutely unavoidable is the brutal violation of human rights, which these millions of people are subjected to on a daily basis. With more than 4000 orphans, Cox Bazar in Bangladesh is the largest Rohingya refugee camp in the world. They are living in miserable conditions in overcrowded shanties with heightened risks of communicable diseases, fires, community tensions and domestic and sexual violence. Moreover, concerns are raised about these camps being in a landslide and flood prone area. All the Rohingyas share the same story, whether living in India, Bangladesh, Thailand or Pakistan. As per recent guesstimates, India hosts 12,500 refugees scattered all over the country; with concentrations in the eastern city of Kolkata, Delhi, northern states of Jammu and Kashmir, and in Hyderabad and the state of Tamil Nadu in the south. From my personal interactions with the Rohingyas in Delhi, it was clear they live consistently with the fear of deportation. Even though the judiciary promised to provide for basic education and healthcare, it is limited only to humanitarian grounds. They are devoid of any legal protection or rights due to a non-existing refugee law in India. Growing political tensions around terrorism and illegal immigration have led to many deportations and imprisonments. The Rohingyas exist at the mercy of their host country. This vicious cycle of violence, deprivation and poverty has pushed them into a never-ending catastrophe. While sharing their experiences to me, Rohingya refugees expressed happiness at being alive. Despite their children are deprived of the basic rights of education, health and a hygienic and clean environment, they expressed happiness at the luxury of sleeping together under a safe roof. What were the reasons behind this humanitarian crisis? Why was it left unnoticed hitherto by the international community, and Myanmar’s neighbors? Will the host countries be considerate enough to provide these refugees with future opportunities and more importantly, do these developing nations themselves have the capacity to accommodate them? With growing resistance towards refugee settlements in developed states and globally changing political ideologies, who carries the onus of providing for them? Do we have a solution to this problem? Or is this stratum of our global population predestined to suffer? I will let the readers to ponder and decide. 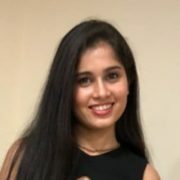 Shreshta is a Policy graduate from UCL, and writes about socio-political issues concerning the world today. Through her writing, she aims to spread awareness and prompts readers to question more.